WordPress is our most requested platform when building new sites for clients. We are also big fans of it. In fact, the website you are looking at right now is a WordPress site. So the question stands–should you use it for your new website? Absolutely, yes. It is undeniably the most affordable and scalable solution for almost any web design situation. There are numerous reasons why you should use WordPress for your business’s website and I’m going cover some of my favorites in this article. Note: In this article we are going to be referring to WordPress.org the self-hosted version of WordPress. Not WordPress.com. The first reason we love WordPress is its unbeatable SEO. Achieving top-notch SEO for our clients has never been easier than with WordPress. They offer infinite solutions for you to get your hands dirty with to achieve the high ranking SEO for your business. Compared to other competitors like Squarespace and Wix who emptily promise that your site is optimized, WordPress visually shows you the results of your SEO at work. Every individual page can be hand-tailored to rank for a specific SEO keyword. That gives you ultimate SEO power to rank for a multitude of topics spanning your entire industry. The second reason is how powerful of a CMS (Content Management System) WordPress is. WordPress started as strictly a blogging platform in its inauguration and is now tailored for any website need. Remember how I mentioned before that you can tailor each and every page’s SEO? That is exactly what you can do for each and every blog post. We recently redesigned a website for a client and imported over 500+ blog posts from a previous website. Imagine if you have over 500+ blog posts on your WordPress website all with hand-tailored SEO. WordPress would be working for you around the clock, pulling traffic from all over the web to your business. 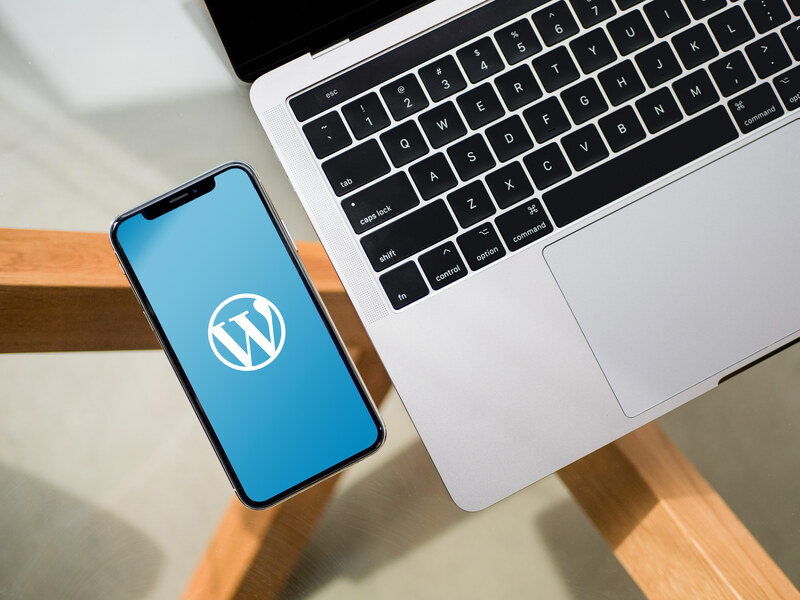 Another reason WordPress is a powerful CMS is its endless formatting tools to make your blog posts engaging and compelling. Most themes come power-packed with an easy to use visual builder that assists you in making highly engaging blog posts. The third reason we love WordPress is its highly-scaleable and extremely user-friendly eCommerce solutions. WP has made it easier than ever to create a beautiful online store and get to selling immediately. We once had a request to build a shop in under 24 hours to start selling the next morning. We set it up and that person was filling orders the next morning. WP also offers a super simple seller interface that makes it easy to watch, edit, compile, and complete orders. The eCommerce features are endless including analytics, discounts, email notifications, you name it, you can do it with WordPress’s eCommerce solutions. Another huge reason we love WordPress is because it is very easy to adapt and scale with any business. They have an unlimited library of plugins that you can add to better tailor to your customers. If you want real-time customer support chat, they have a solution for that. If you want subscribers to get a push notification on their iPhone when you make a new blog post, they have a plugin for that. The possibilities are endless and ever-growing. With new plugins built by the WP community everyday, you can make anything happen with your site. The final and most important reason why you should use WordPress is that it is open source. Giving you ultimate control over everything. We recently completed a site for a client where we wrote 567 custom lines of code on top of the existing themes to further customize it. With WordPress being open source, you can host your site on your own server. That means that if WordPress as a company was to ever disappear, your site would not be affected. On the other hand, if Squarespace, Wix or Weebly were to disappear, you would lose everything you have on their servers. Also other website providers want you to pay premium subscription prices to add simple features to your website. WordPress was built with the user in mind, giving you ultimate control to build and achieve whatever you desire with your website. Check out this site we made with WordPress. This is the case study for the client we mentioned above that we wrote over 500 lines of extra code over WordPress for.